If you're tired of squeaky bottom brackets, the Torqtite Stainless Bottom Bracket replaces any press fit on the market with a unique system. A double threaded internal sleeve is used to tighted the right and left cups with the use of two spanner wrenches. Installation is quick and easy and the end result eliminates friction and noise. I recently installed a Torqtite BB Adapter (PF30) in my Volagi Viaje. These things are amazing. I had zero issues installing it (using a simple home made press). The design is great and after 400 miles or so, zero creaks. The reason I replaced my original Wheels Mfg BB is that I was upgrading to Di2, and there was no room in the shell for wires with that BB. The Torqtite accommodated the Di2 wires outside of the adapter, and everything works fantastic. I'm experience with bike building and a mechanical engineer. Knowing the press fit bb is full of issues, I gave this torqtite a shot. The concept was good but it runb into lots of problem. Long story short, it wasn't that easy to install as show in the video, and removing was extremely difficult thanks to h the seal ring and frame tolerance. In conclusion, press fit is one of worst idea that manufacture come up with. They claim it give more bb space for better design and lighter but truth is save them time/money. Unfortunately, no good solution as of today, not even this expensive bb. I understand that it could be case by case situation. The problem i had is combination of press fit concept, frame tolerance, and maintainability (it is not easy to install/remove like external bb). Do the wrenches come with it? The are mandatory to install it. BEST ANSWER: There are no wrenches included, and yes, you definitely need the wrenches to install this. Make sure you get the right size wrench for whichever bottom bracket you are installing, and you should have two of them, one for each side. They are available from various manufacturers at different price points. No wrenches come with the BB. I used 2 Shimano external BB cup wrenches to successfully install. No, they have to be bought separately. Will a sram force 22 crnkset work with this BB? BEST ANSWER: I can’t answer this as I was running Shimano (Dura ace). will this work in a 2015 salsa cutthroat? 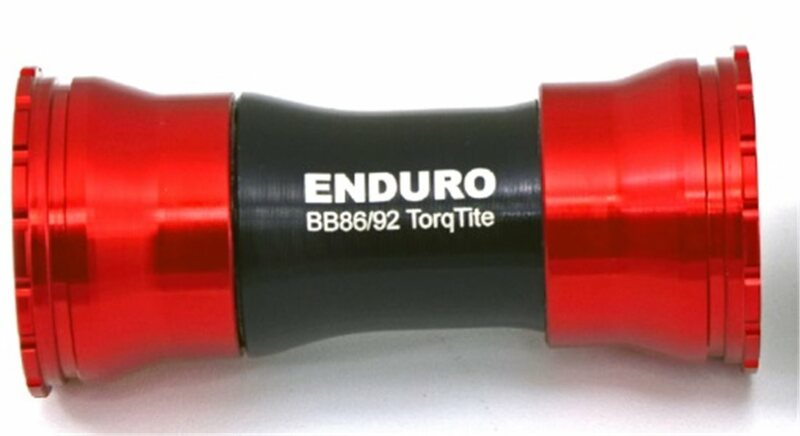 BEST ANSWER: The TorqTite BB I bought was for a road bike to fit a BB386EVO bottom bracket. The model I bought would probably not fit a mountain bike. 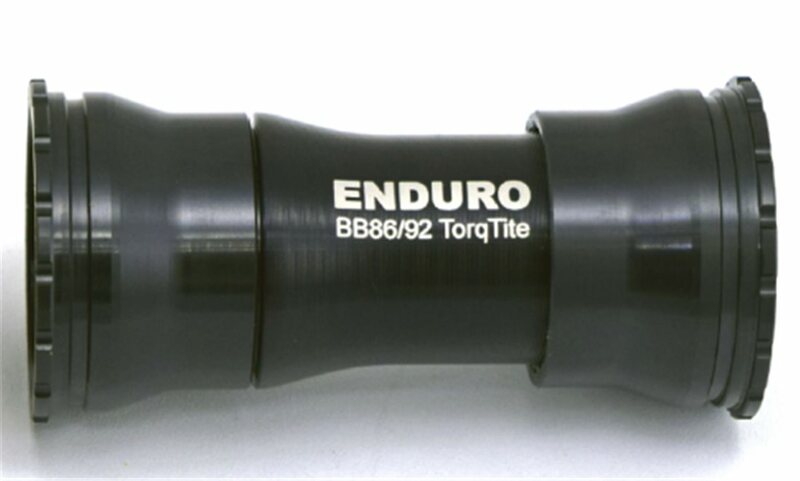 Go to the TorqTite website (enduro bearings) and they have a big table listing which of their bearings fit what BB standard.